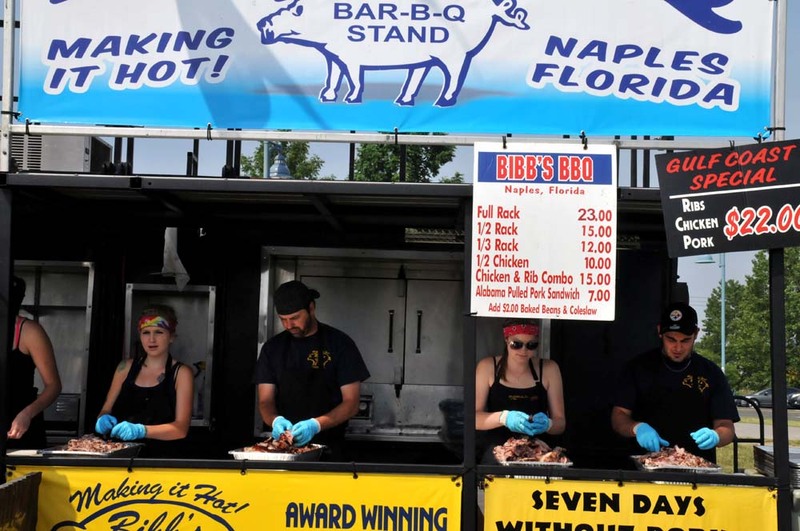 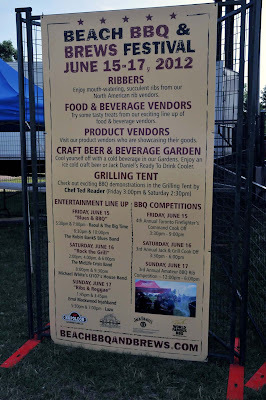 Woodbine Park in the #Toronto Beach area had a full corral of BBQ joints set up around the large permanent stage as the free ribfest Beach BBQ and Brews Festival is cooking this weekend. 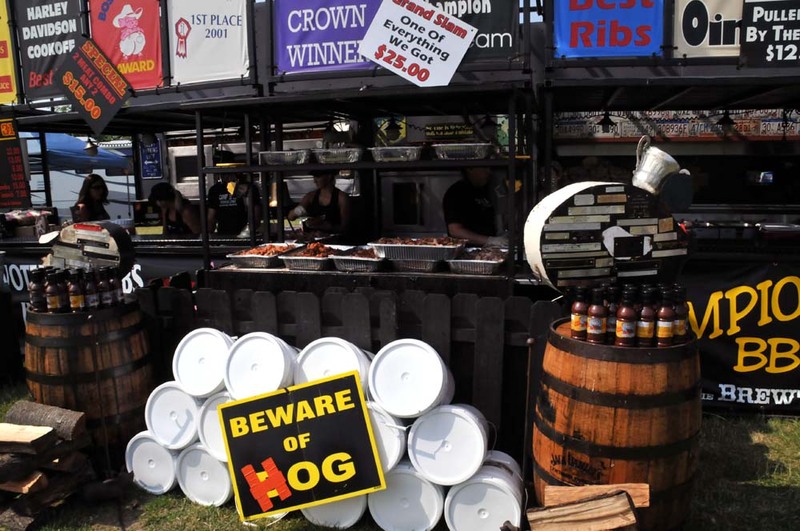 Several BBQ joints had pig trophies, large posters rising high in the sky and plenty of various meat products. 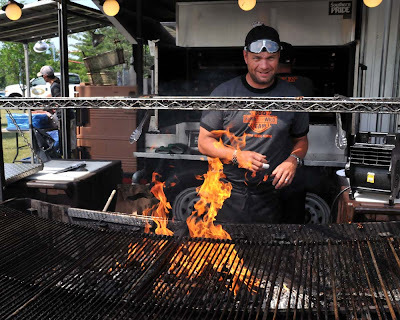 Getting the grill ready at Hawgs Gone Wild in the photo above. Hank Daddy's BBQ, Sticky Fingers BBQ and Company, Camp 31, Uncle Sam's BBQ and Hawgs Gone Wild were the big boys on site. The Festival runs Friday, Saturday and Sunday, June 15-16-17, 2012. 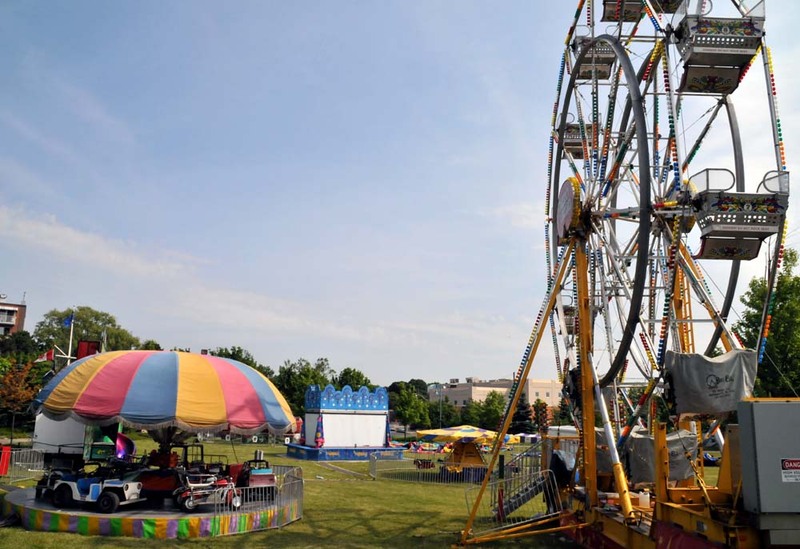 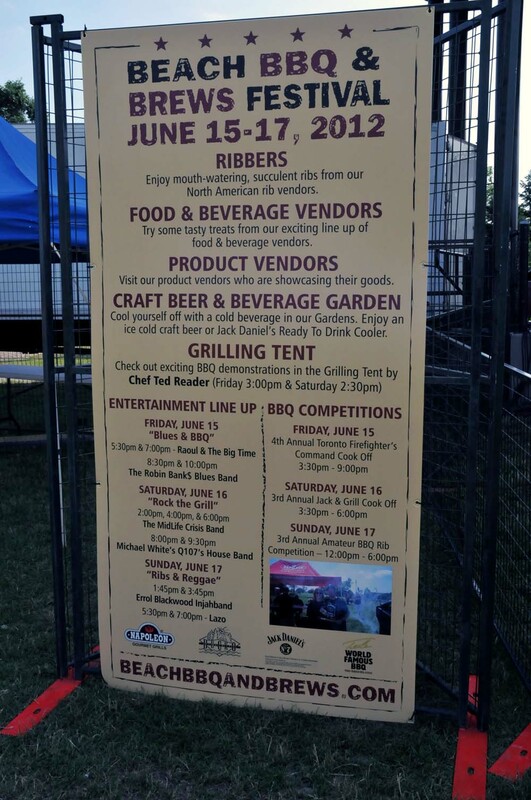 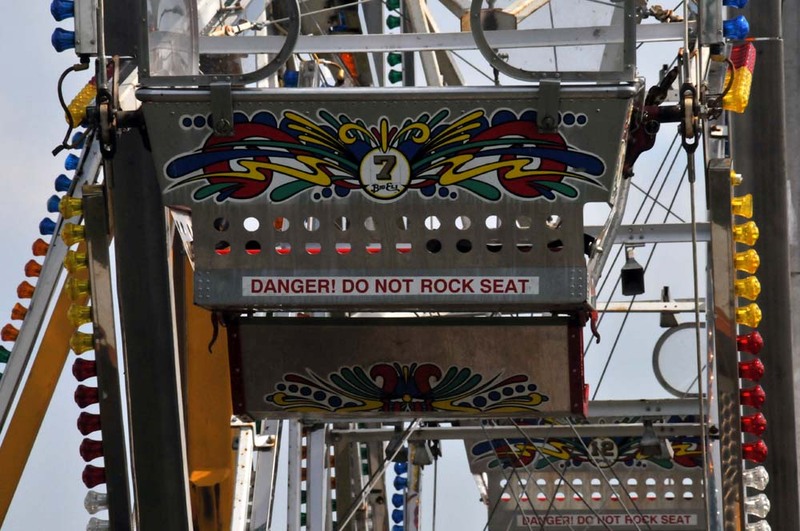 Check out the Craft Beers and the children's midway rides and listen to the entertainment they have lined up - Sunday has Ribs and Reggae with Errol Blackwood Injahband. Open Sunday at noon and ends at 8pm. See more photos after the jump. 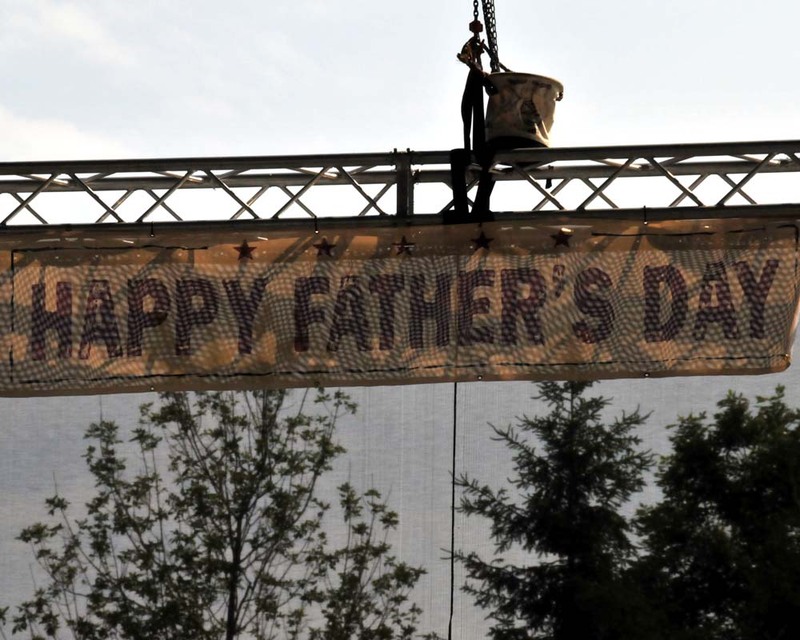 The sign on the stage says "Happy Father's Day" ready for Sunday June 17, 2012.
aahhh, sad i missed this fun Toronto event!